Large - $19.99 Only 2 left! Have you been looking for some casual nerdy apparel? Well, we have exactly what you need! Check out this amazing TMNT Leonardo Skater Dress. It will be perfect for a simple Halloween costume this year if you don’t feel like going all out with an overly detailed costume. You could also just toss it on any day of the week you feel like letting your nerdy side loose. 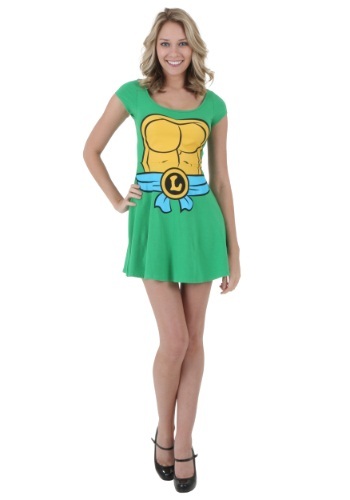 Transform into the leader of your favorite crime fighting team of turtles once you slip into this skater dress. You’ll feel ready to take on Bebop or Rocksteady without a problem. 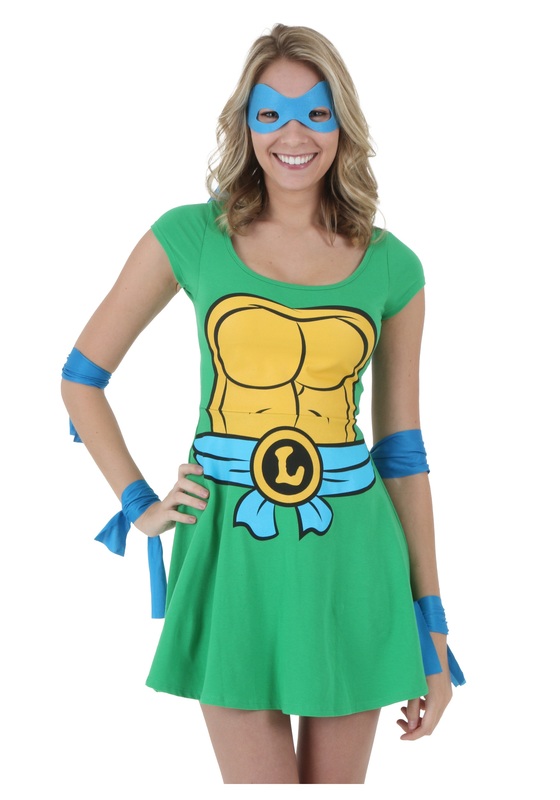 Look through our TMNT-themed accessories and grab a blue mask as well as a pair of swords, and you’ll be ready to hit up the Halloween party scene. 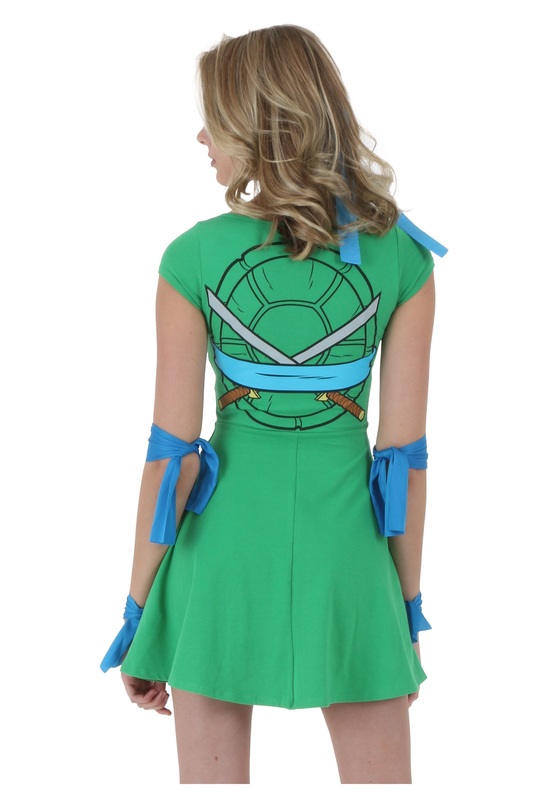 Have a couple of friends dress up as the rest of the turtles in our other TMNT Skater Dresses and the four of you will even be able to take down the infamous Shredder!